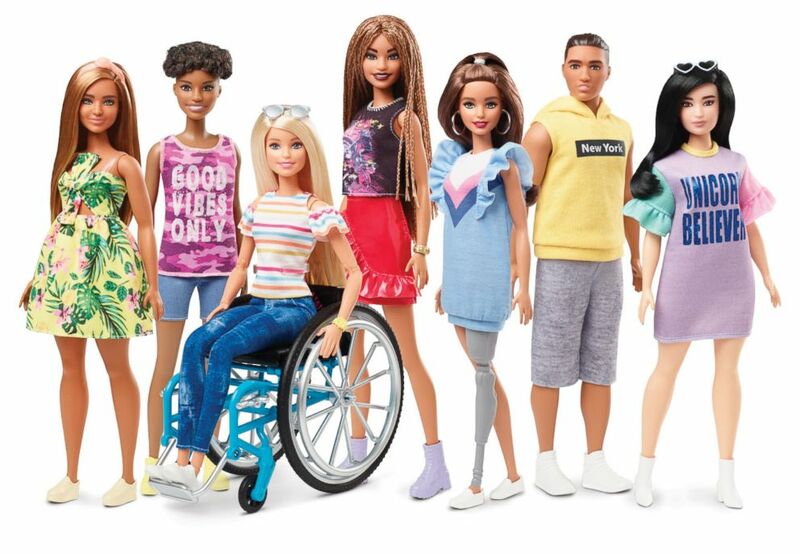 Barbie is expanding her crew of pals as Mattel releases a new variety of inclusive dolls as part of their Fashionistas collection. Today, the American toy company announced it's adding dolls with braided hair texture, a new body type and Barbies who reflect permanent physical disabilities. "For 60 years, Barbie has been a reflection of culture and fashion and that is key to the brand’s continued relevance," Kim Culmone, Global Head of Design for Barbie, told "GMA." "As we design Barbie for the next generation, we are focused on evolving to remain the most diverse doll line in the marketplace."